Are you suffering from upper or lower back pain? Here are 4 exercises that you MUST avoid and some tips to help you regain function and strength from our Calgary bodybuilding personal trainer. You need healthy back muscles to squat, press, pull, and push, and if you’ve ever been sidelined by a back injury, you already understand just how important rest and back rehab exercises are. 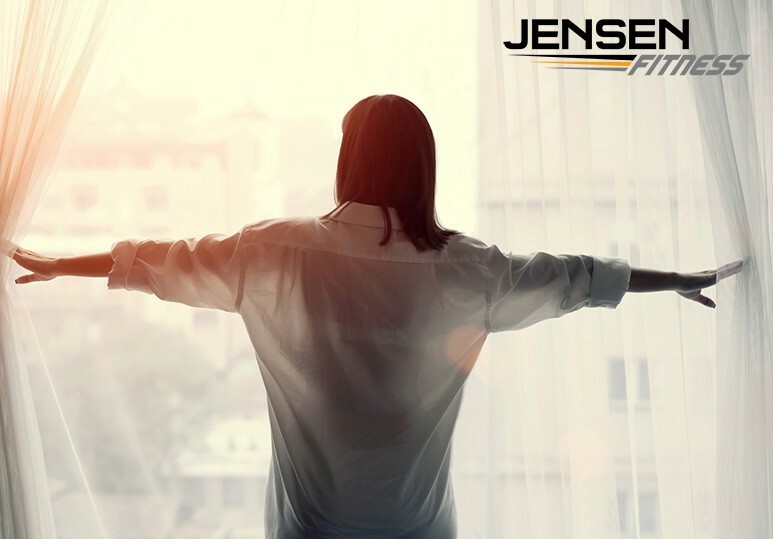 At Jensen Fitness, our qualified fitness and bodybuilding personal trainers understand how important it is to keep your body healthy and injury-free. That’s why we create tailored fitness programs to help you achieve all your weight loss goals and lower your risk of injuries during your workouts. Back pain can make it easy to neglect your workouts but any doctor, physiotherapist, or personal trainer will tell you that exercising can actually speed up your recovery and help prevent pain down the road. The only hitch? You MUST avoid moves that will make your pain worse. Working with a fitness and bodybuilding personal trainer can help you achieve your weight loss goals while protecting your body from further injury. 1. Sit-ups. Going from lying completely flat to sitting upright can put a huge amount of strain on your spine, especially if your stomach muscles are weak. This is because when you don’t have your core to power you as you sit, your lower back ends up doing most of the work, exacerbating the pain. 2. Glute Bridge. 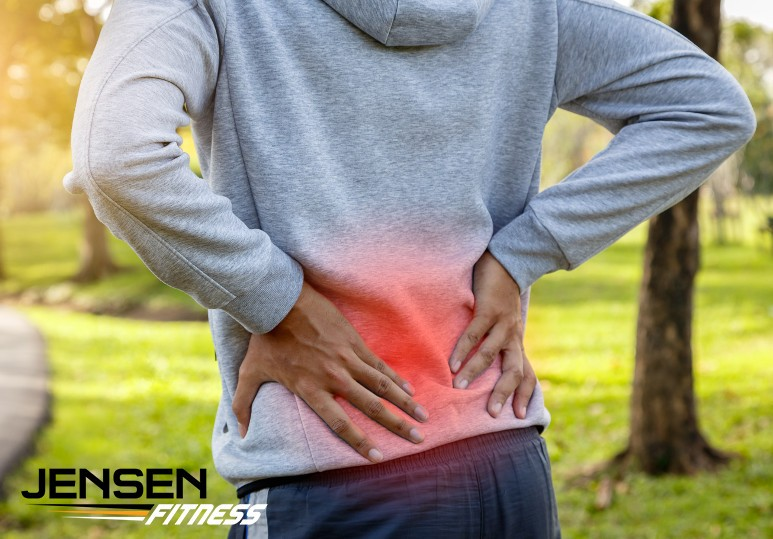 While this is an exercise that is commonly prescribed to ease back pain, if it’s done incorrectly, it can simply make your injury worse. Why? When you lift your hips without focusing on your core or glute muscles, it’s likely you’ll use your lower back to perform the exercise. 3. Deadlift. If you are new to deadlifts, and your spine rounds and extends repeatedly under the weight, there is a higher potential for back injury. ALWAYS work with a professional personal trainer when performing such exercises as they can ensure you have the correct form. 4. Burpees. Burpees are used in many trainer-guided workouts but you may have to skip them if you have back issues. This exercise activates the majority of back muscles and involves explosive, high-impact movements. Not only can this be painful if you’re already dealing with back pain, but can even cause an injury if your muscles are weak. Why Exercise When You Have Back Pain? To ensure your workout improves your lower back pain, instead of making it worse, it’s important to make safety a priority during your workouts. Whether your goal is fitness, weight-loss, or bodybuilding, you must work with a personal trainer who can provide you with the right exercises to lower your risk of re-injury. Water exercises are a great way to stretch and strengthen your muscles, while protecting them from further injury. Swimming will help support your joints while you exercise and provide a comfortable and safe level of resistance so your muscles still have to work. Wearing the right shoes during your workout is an essential part of avoiding injury. Your shoes must be the right size and they should also be comfortable, so that they can support your weight and take any pressure off your back and hips. 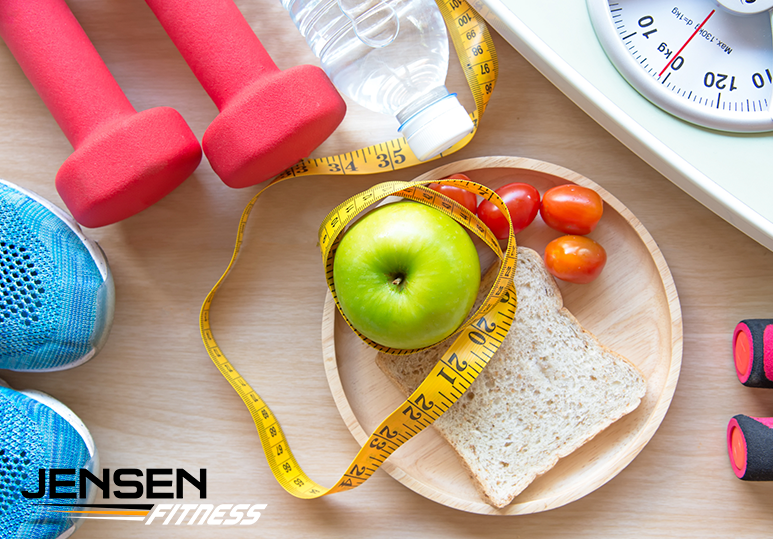 In most cases, it’s best to lower the intensity of your workouts (eg. running slower or lifting lighter weights) until your doctor or personal trainer advises you that it’s safe to ramp things up. While it can be tempting to increase your intensity, fight the urge because pushing yourself faster than your injury allows can make your pain a lot worse. To find out more about how our qualified personal trainers can help you achieve all your fitness and weight loss goals safely, contact our Calgary gym at 403-200-0199 or fill in our online contact form.